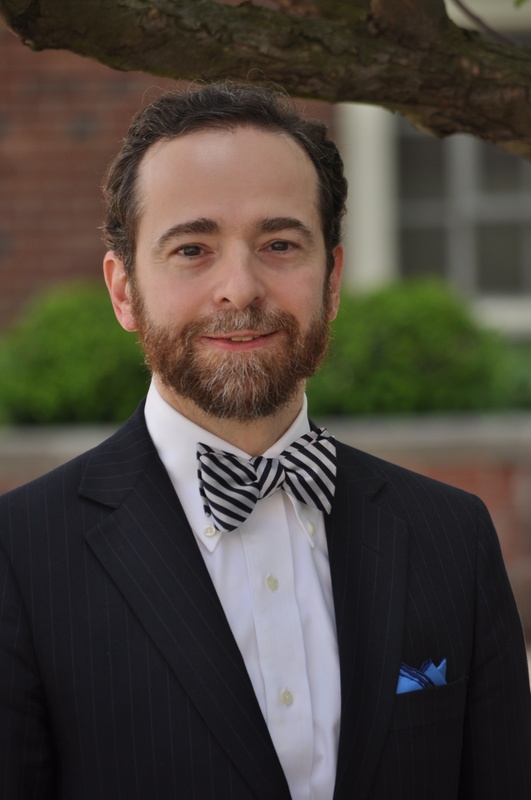 Robert A. J. Gagnon is Associate Professor of New Testament at Pittsburgh Theological Seminary. He came to PTS in the Fall of 1994 after a one-year position as Visiting Professor of Religion at Middlebury College in Vermont. He has a B.A. degree from Dartmouth College, an M.T.S. from Harvard Divinity School, and a Ph.D. from Princeton Theological Seminary. His main fields of interest are Pauline theology and sexual issues in the Bible. He is a member both of the Society of Biblical Literature and of the Studiorum Novi Testamenti Societas [Society of New Testament Studies]. He is also an ordained elder at a Presbyterian Church (USA) in Pittsburgh. He is the author of The Bible and Homosexual Practice: Texts and Hermeneutics (Nashville: Abingdon Press, 2001; 520 pgs. ); co-author (with Dan O. Via) of Homosexuality and the Bible: Two Views (Minneapolis: Fortress Press, 2003; 125 pgs. ); and, as a service to the church, provides a large amount of free material on the web dealing with Scripture and homosexuality. In addition, he has published scholarly articles on biblical studies in Journal of Biblical Literature, New Testament Studies, Catholic Biblical Quarterly, Novum Testamentum, Zeitschrift für die Alttestamentliche Wissenschaft, and Horizons in Biblical Theology; and more popular treatments in The Christian Century and First Things. He is also author of article-length encyclopedia entries in Dictionary for Theological Interpretation of the Bible (Baker/SPCK), New Dictionary of Christian Apologetics (IVP), Oxford Handbook of Evangelical Theology (Oxford University Press), and Encyclopedia of Christian Civilization (Wiley-Blackwell). In addition, he has been quoted in, or has written for, the New York Times, National Public Radio, CNN, U.S. News and World Report, Christianity Today, Christian Century, and other news outlets and popular magazines. For a partial curriculum vitae of Dr. Gagnon go here. To contact Dr. Gagnon send an e-mail to: gagnon@pts.edu or call (412) 924-1416. If you would like to be included on his mailing list and notified once a month or so regarding new materials on his website, e-mail Dr. Gagnon with the request. As with the websites of other PTS faculty members, the views expressed on this website are the faculty member's own and make no claim to representing the official views of Pittsburgh Theological Seminary. God's Design for Human Sexual Behavior: produced for Pure Passion Media and Mastering Life Ministries: Part 1 & Part 2. An hour video presentation at the Family Research Council in Washington, D.C. entitled "Jesus, Scripture, and the Myth of New Knowledge Arguments about Homosexual Unions" (June 18, 2014); accessible either on the FRC website or on YouTube. 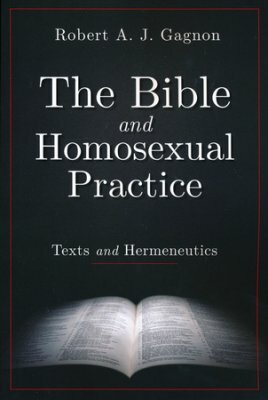 To order a copy of The Bible and Homosexual Practice: Texts and Hermeneutics (Nashville: Abingdon, 2001; 520 pp., paperback, list $44), at 27% off (down to $32), click on the image below, which will take you to Christian Book Distributors. For a list of endorsements go here for pdf and here for html. For responses to critiques go here. A comprehensive treatment of the subject. To order a copy of Homosexuality and the Bible: Two Views (co-authored with Dan O. Via; Minneapolis: Fortress Press, 2003; 127 pp., paperback, list $19), at 26% off, for only $14, click on the image below, which will take you to Christian Book Distributors. $12 at Amazon.com. If you prefer to order by phone or mail, and/or to do business with a Christian retail outfit, you can order the book from Christianbook.com, 1-800-247-4784, for a 15% discount plus shipping charge. Click here if you prefer a mail order form. For endorsements go here for pdf and here for html. In this book I provide a 52-page, updated synthesis of some of the key arguments of The Bible and Homosexual Practice. Dan O. Via, professor emeritus of New Testament at Duke University, contributes a 39-page essay that attempts to make a "biblical" case for supporting homosexual unions. Via and I each contribute a 6-page response to the other's essay. Both my essay and response have note numbers that key in to online notes, here for pdf and here for html. Also online is a substantial rejoinder to Via's response, here for pdf and here for html; as well as an expanded bibliography of important works on both sides of the issue (pdf and html).